The vívoactive 3 includes lots of action monitoring profiles constructed in--1-5 to be accurate. It's going track all of the regular things like walking, biking, jogging, and also the above swimming pool. Additionally, there are a few more obscure options such as yoga, multi sport, and also golf clubs. The exciting new comer this is strength manner, which not just tracks your pulse and calories while training, but additionally tries to rely on repetitions and identify that exercises you do. Regrettably I have not found this to be all that useful. It's an amazing principle, however maybe not ready for primetime. In strength style, the Garmin vívoactive 3 has been able to correctly identify pull-ups and bench presses, however it provokes about as frequently as it strikes. The rep counting is completely incorrect usually, and also the same is true for identifying exercises and some moves, such as leg presses. Thankfully, it's easy to edit your data right on the lookout itself thanks to its large and responsive touchscreen. Yet, that leads for you often standing around trivial with your own wrist in the exact middle of the fitness center instead of focusing on your own practice. That is my problem with this whole idea, indeed. Unless it works perfectly and with no input from an individual, it's only going to take your mind out of the game. For someone after having a fairly basic application, this may be a useful alternative. If you train just like I really do--with a lot of strange moves, drop sets, and a varied cadence--there isn't any way an program can accurately catch the app. I hope Garmin keeps advancing this, because it might evolve to some really terrific feature. It's simply not available yet. GPS tracking is really where Garmin excels, and the vívoactive 3 will not fail. Within my experience, runs are monitored very accurately. As usual, in addition, you get a great deal of useful information from the Garmin Connect program after a jog, including things such as moderate pace, cadence (that isn't available from all the competitors), high speed, heart rate, caloriesand measures, elevation (as a result of its in-built barometric altimeter), and even your projected VO2 max. It is possible to let someone track your run in real-time too, and it is a cool basic safety feature. There is an choice to select which data fields you would like displayed throughout activities. There's also auto lap, auto pause, and the capacity to track customized workouts. Honestly, there are just too many features and stats here to list them all. Things you want to understand is this--the vívoactive 3 is still a fantastic watch for hiking and running. 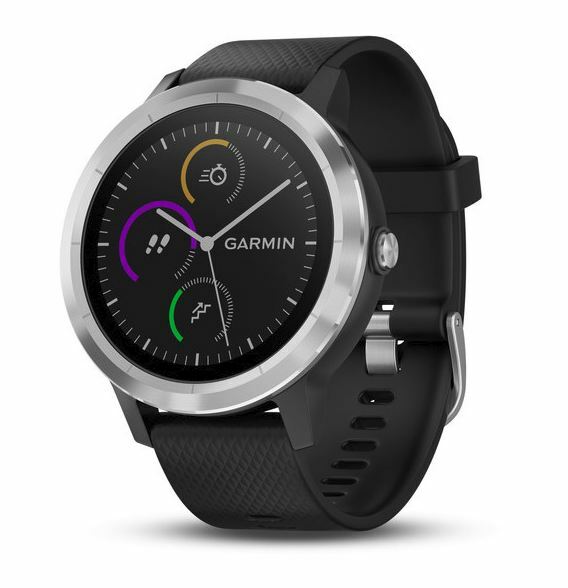 Of course, Garmin also contained its Elevate heartbeat sensor on the vívoactive 3, and now I could say that this is one of the very accurate wrist-worn heart rate tracking solutions you should purchase at this time. It's not as true as a chest-worn heartbeat monitor (particularly during strength training( which restricts muscles and also affects blood flow), but that is true of smart-watches. But, you can set this revolutionary product with a chest strap in the event that you should be searching for increased accuracy. With such a good choice of activities and sports, the machine should be able to handle mostly anything you'll wish to throw at it. Garmin asserts the device can last you for 7 days on one charge, however in my own experience it's closer to five or four. That's still pretty impressive when you consider all of the features packed in. Unfortunately it uses a proprietary charger, however, at least that one isn't difficult to insert.